LTHForum.com - Best Steakhouse in Chicago? LTH Home > Chat > Eating Out in Chicagoland > Best Steakhouse in Chicago? I'm not a fan of behemoth Morton's. Nothing they serve is dry-aged. It's all wet-aged (a cheaper process and not nearly as flavorful). That might not mean much to others but for me, it automatically disqualifies it from being the best. It's fine but I could never consider it top-tier. And with 70+ locations, it's quite a stretch to consider it local. Places like Boeufhaus and Bavette's and some other new-school spots have put a great spin on the classic Chicago steakhouse experience. Their beef is of superior quality and there's just a level of care and quality that cannot be matched by multi-unit international chains. I'm not a huge fan of their sides -- which, I believe, do matter at a steakhouse -- but at least David Burke's Primehouse gets it right with their dry-aged beef, which is aged in-house. Some of it up to 75 days, iirc. Who else in town is doing that? No one, as far as I know. Dry-aging of any length is becoming more and more uncommon these days but if you're looking for the best, that is the single question you need to ask about any place you plan to visit. If they don't do it, the steaks are going to be very similar to those served at just about any other place. At the end of the day, dry-aged beef has that great, funky totally distinctive flavor. Nothing else matches it and because of the cost, very few places still offer it. Those that do are a clearly a full level ahead of every place else. I have my reservations for Saturday night at BoeufHaus. I hope you change my mind. Any recommendations? dradeli wrote: I have my reservations for Saturday night at BoeufHaus. I hope you change my mind. Any recommendations? Hopefully, they'll change your mind. I love that 55-day dry-aged ribeye they serve. The crudites are very thoughtful and should not be missed. The cauliflower gratin and boeuf fat fries are also great. They also offer an excellent, affordable wine list, curated by Nathan Adams, who owns Red & White wine shop on Milwaukee Avenue. Agree with all of Ronnie's recs and would just add the steak tartare to the list. I would keep Boeufhaus . . . so unique and wonderful. If I wanted to go the more traditional route, David Burke's Primehouse. Wherever you go, I would just like to profess my amazement that people continue to feel porterhouse, etc is best. RIBEYE my friend is the king and master of all steak experience. Fat=flavor, and no cut can top the bone-in ribeye for the best flavor around. and a perfect mid-rare, and I am in steak heaven! I also second the David Burke rec- their dry aged beef is awesome. Full agreement with your Ribeye call. Salt and Meat are a match for the palate. Up in Milwaukee, we are loaded with good joints. Mr. B's, Eddie Marini's, and Jackson Grill are my favorites. For a unique experience, the Five O'clock Steakhouse is worth a visit. The steak at BoeufHaus is excellent, and I also give a thumbs up to the 55 day dry-aged ribeye. I love the vibe there. The one downside is that we've found the sides to be hit or miss and not always the same from trip to trip. The same dish can be OMG I want to bathe in this stuff one day, and just OK another. Another thumbs up for the wine list and a chance to give a plug for Red & White Wines where you can buy the stuff drank at BoeufHaus, or they'll order you some. I loved my meals at Boeufhaus and Bavette's. You can't go wrong at either. It's been a while since I've eaten at David Burke's, but my meals there were great also. ronnie_suburban wrote: at least David Burke's Primehouse gets it right with their dry-aged beef, which is aged in-house. Some of it up to 75 days, iirc. Who else in town is doing that? No one, as far as I know. Dry-aging of any length is becoming more and more uncommon these days but if you're looking for the best, that is the single question you need to ask about any place you plan to visit. EDIT: Below I expanded the list to include many more restaurants, and added links and locations, in a later post (click here). Last edited by nsxtasy on December 17th, 2016, 12:12 pm, edited 1 time in total. So, no one else at 75 days but a good handful of places that still do dry-age. Interesting how many big household names do not appear on this useful list. Though, I realize it's not exactly official. Thanks, for posting it. And it's always good to check before you go or even when you're making a reservation. I've had at least a couple of trips at which the age I wanted was not available. And it's also worth mentioning that dry-aged beef isn't for everyone. I remember being at one dinner with a few friends who didn't care for it. To them, the aging was just too much. It wasn't what they were used to and did not scratch the itch for them. ronnie_suburban wrote: And it's also worth mentioning that dry-aged beef isn't for everyone. I remember being at one dinner with a few friends who didn't care for it. I would reevaluate the term "friends" there. In any case, at Boeufhaus the Salade du Marche, which can consist of any number of fall/winter vegetables, pickled, lightly cooked, composed with some bitter greens and a light vinaigrette is a great contrast to the richness the rest of the menu provides. Cocktails help too! ronnie_suburban wrote: And it's also worth mentioning that dry-aged beef isn't for everyone. It's also worth mentioning that while dry-aging beef is apples to apples there is, as in varieties of apples, some variation within the category. Slight variations of temperature, humidity and air-flow in dry-aging rooms will yield slightly differing results. I am throwing this out as an info bubble, simply something to ponder. I'd also venture temperature/humidity % used at particular restaurant is not something the average server, even in high-end places, or line-cook will know off-hand. It would be interesting to make a comparison between restaurants and/or major purveyors of dry-age beef. Though I'd venture many would not be forthcoming about proprietary specifics. Burke's 'aging room' is in fact a basement storage room converted with a wall Himalayan salt bricks through which the ventilation system blows coupled with a humidifier. I suspect that the salt inhibits bad bacteria growth and that Burke's just hit it right! I have seen some mention for the use of UV lighting to inhibit bacteria growth in dry aging systems but for any of the purveyor's I have inspected, I see no use of such systems. whocanitbenow wrote: I would reevaluate the term "friends" there. Ha! I have friends who don't eat anything with pigmentation. I just don't go anywhere for dinner with them if I can help it. ronnie_suburban wrote: David Burke's Primehouse gets it right with their dry-aged beef, which is aged in-house. Some of it up to 75 days, iirc. Who else in town is doing that? No one, as far as I know. Dry-aging of any length is becoming more and more uncommon these days but if you're looking for the best, that is the single question you need to ask about any place you plan to visit. If they don't do it, the steaks are going to be very similar to those served at just about any other place. Do any restaurants in Chicago serve extreme-aged steaks? A growing number of restaurants elsewhere age beef for well over 75 days – over 450 days in one case – and the descriptions of the flavor of the really old ones are certainly intriguing. I suspect there's more than a little truth to the "stunt beef" comment, but it might be fun to try a hunk of more-than-slightly-decomposed meat. And how about beef aged on the hoof? Eating elderly cows – up to 17 years old – is traditional in parts of Spain, and the practice seems to be spreading. Are any of these senior citizens being served in Chicago? Rene G wrote: Are any of these senior citizens being served in Chicago? Ronnie's Steak House is still open. ronnie_suburban wrote: So, no one else at 75 days but a good handful of places that still do dry-age. Interesting how many big household names do not appear on this useful list. Though, I realize it's not exactly official. Thanks, for posting it. And how about beef aged on the hoof? Eating elderly cows – up to 17 years old – is traditional in parts of Spain, and the practice seems to be spreading. Are any of these senior citizens being served in Chicago?" Older animals are usually sold as 'Canners and Cutter's' and not marketed for service. The small meat processors in Wisconsin typically market USDA Select Grade from older diary cattle. The cows must be live and in healthy condition for slaughter. “Extreme ageing” is the other obsession of the steak aficionado: 14 to 30 days is common in the UK but more and more butchers are taking this further, inspired by the likes of Peruvian butcher Renzo Garibaldi who ages some of his meat for 300 days, while the Northern Irish meat merchant Peter Hannan, who supplies Mark Hix’s London restaurants, goes as far as 365 days." BTW, a 17- year- old cow would be 78 in human years. Thanks for the additional information. I don't know what *most* means but that's the kind of language that always concerns me. In other words, phone first and ask for the name of the person with whom you speak. That said, I've always been a fan of S&W. ronnie_suburban wrote: Interesting how many big household names do not appear on this useful list. In my previous list, I only looked up those steakhouses that had already been mentioned in this topic for having dry aged steaks. But now I did a bit more research, including most of those "big household names", to see which ones have dry aged steaks on their website menus. So here's a more comprehensive list of restaurants with dry aged steaks according to their website menus, with aging for the indicated number of days where available. I've added website links and locations. 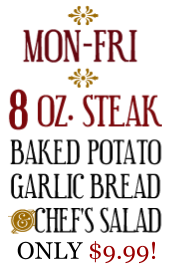 Other steaks on their menu may also be dry aged, but these are the ones for which their website menus explicitly mention it. This article may also be of interest: The Best Dry-Aged Steaks in Chicago by Nick Kindelsperger, in Serious Eats. In addition to providing a thorough description of steak aging, he taste-tested both wet-aged and dry-aged steaks at two places that have both on the menu, and describes the differences between them. Last edited by nsxtasy on October 20th, 2018, 8:59 am, edited 28 times in total. Wet aged beef, which used to be mostly what you'd find in Chicago and is still prevalent at some of the old school Chicago steakhouses, makes the beef more tender but adds nothing in terms of flavor. Dry aging on the other hand is all about flavor. Read the restaurant menus carefully and ask because many restaurants claim to sell only aged beef but then offer dry and wet aged beef and it gets confusing. All other things being equal, dry aged beef will cost more. But of course, all dry aged beef is not the same. Dry aging certainly adds flavor complexity, but you still want heavy marbling . . . fat is flavor. And you want to be buying the best quality beef. I've had quality dry aged steaks from some of the places identified as serving dry aged beef but because they didn't start off with the best quality beef, whatever flavor complexity was added by dry aging was not enough to make the steak better than the best wet aged steaks I've had. So there, hope you're more confused as ever. But the old adage still rings true: you generally get what you pay for (but remember that location (real estate) is always a factor in pricing too). We love David Burke's and that is my go to spot for my birthday. Last year we took my two 25 year old nieces and their husbands. On the way there my husband griped, so it is YOUR birthday, which means they will be paying? I am sure most of you with children that have not come into their own yet plan to treat, as do I, even on my birthday. After his complaining, imagine my surprise when the two ladies were wondering if you could taste the difference between the 55 ($70) and 75 ($81) days of dry aging, and he said, I would encourage each of you get one and then you can compare! They were big steaks and they only ate about half. Would you like these wrapped? Oh no thank you, they replied. This is where there may be a generational difference, but if I pay that much for a steak and eat half, the other half is going home, so I took them with me. We went of town for a few days and my husband was shocked I was still going to eat them. Why not, now they have been aged for 58 and 78 days! At any rate, they were still fine and if you have a good sense of taste, you really can tell the difference. As mentioned above, we also love the table side presentation of the Caesar salad with the crab croutons. There is a lovely selection of ice cream for dessert, three flavors for $9, be sure not to miss the roasted vanilla. Wow, I'm old. I think this is the only steakhouse in this thread I've been to. I think I remember $1.99 the first time I was there. I think it was the first piece of meat (I hesitate to call it a steak) I ever used A1 sauce on. midas wrote: Wow, I'm old. I think this is the only steakhouse in this thread I've been to. Glancing through the above list of places that dry age their steaks, I would guess that three quarters of that list are places that have opened in the last five years or so. Ronnie's Steak House opened in 1963. Not as old as Gene and Georgetti's (1941) or Miller's Pub (1935), but older than most other longtime steakhouses (e.g. Morton's, 1978). nsxtasy wrote: Ronnie's Steak House opened in 1963. Not as old as Gene and Georgetti's (1941) or Miller's Pub (1935), but older than most other longtime steakhouses (e.g. Morton's, 1978). Was Miller's serving steaks in 1935? I don't know, but I suspect the bar used to be quite different before the Gallios family bought it around 1950, expanded ten years later, and moved to their present location about thirty years after that. Even today, I have a hard time thinking of Miller's as a steakhouse. If you include Miller's, you should probably include Erie Cafe too. It also made a short move and is now under different ownership, but it was very well-known for steak prior to 1950 and was in business at least as far back as the 1920s. 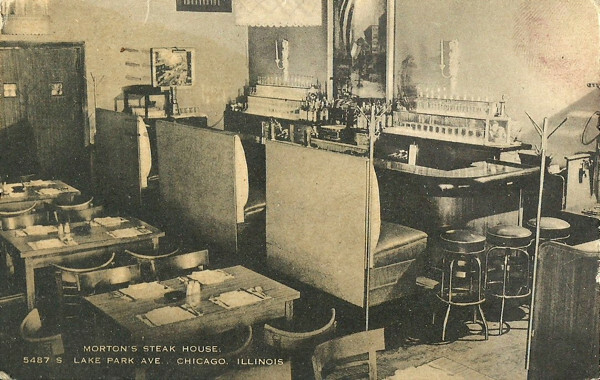 Although the current corporate Morton's The Steakhouse might date to 1978, Morton's Steak House (owned by Arnie Morton's father) goes back much farther, at least to the early 1950s. Yes, Arnie used to work at his father's Hyde Park restaurants. Ronnie's Steak House opened in 1963. Weren't there some others similar to Ronnie's in that area? "The Flame" perhaps? I remember many of my Saturday itineraries that included a couple of hours playing games at the Treasure Chest Arcade on Randolph just west of State St,followed by a movie,and a cheap steak dinner. This has been such a fun thread to read. Thanks for everyone's input and commitment to useful information. We booked an early NYE reservation at David Burke's. It's been on my list for a long time and the combination of the caesar salad, good quality meat, and notable desserts pushed us over the edge. Happy Holidays!